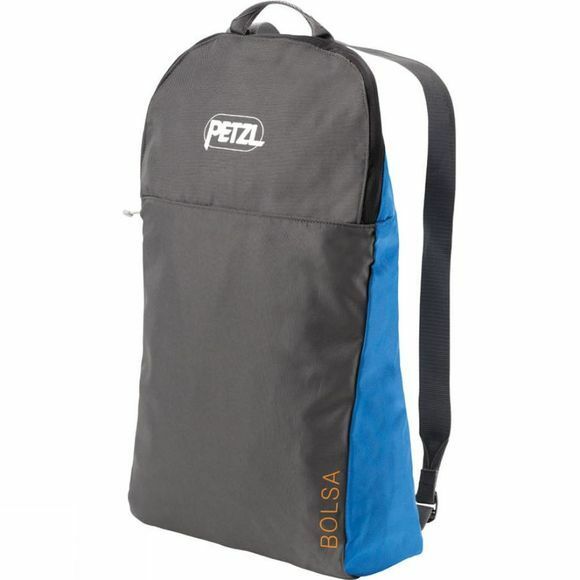 The Bolsa Rope Bag is designed for climbing: worn on the back, it allows the user to move around quickly with his gear. Unfolded, the 1.4-metre square tarp creates a place for the rope, while protecting it from dirt, leaves and gravel. After climbing, the rope is easily stacked and stored. the bag comfortably carrys a rope of up to 80 metres in length, plus climbing gear.